Many of us already have our CAPS (Certified Aging In Place Specialist) designation, and more are getting their coursework completed to join our ranks. There certainly is no shortage of work to be done or people to help. The issue is making sure that we are using our training and getting the certification for solid reasons – to help those who need our talent and expertise. It’s possible to take the CAPS training just to add the initials after our name. It makes a great title for us – one that is easily recognized by the public and fellow professionals. However, we want it to be more than just a title. While there is nothing wrong in having a professional designation and seeking it primarily to add the initials after our name, we don’t want to leave it at that. Getting the CAPS designation just to have additional initials after our name – to go along with other professional designations or achievements we have – is missing the opportunity to put our specialized knowledge to use. Many of us already have personal experience with progressive conditions as caregivers for family members, and we may have a medical condition ourselves that gives us an additional insight in what people are encountering. Some of us already have completed modifications for people to allow them to age in place more effectively in their homes – safety improvements, wider hallways and doorways, more accessible kitchens and bathrooms, better flooring and lighting, and other modifications that can enhance their living space. Regardless of whether we are just in the beginning stages of our aging in place services business – or just laying the groundwork to transition into our new business from what we have been doing – or if we have completed several aging in place home modification improvements and been in business for several years, there are many directions we can take to work with the public. 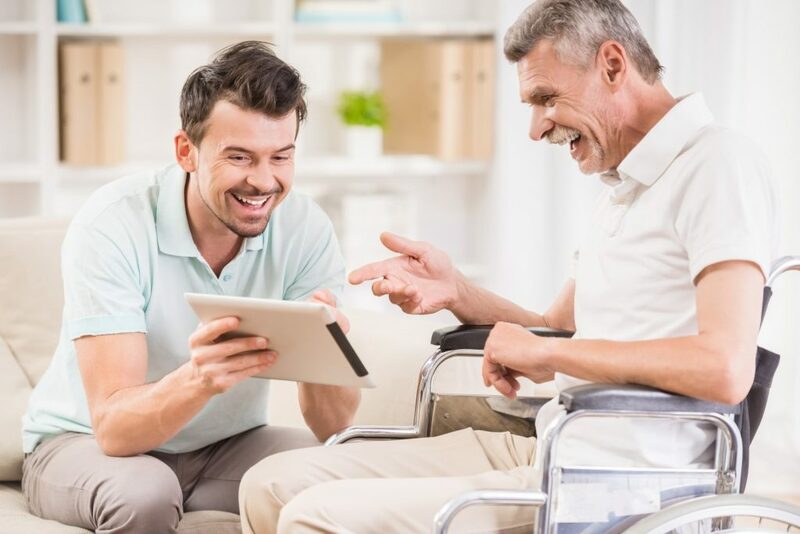 There are home assessments we can learn to do – any good renovation begins with a proper and complete evaluation of the physical characteristics of the living space as well as the functional abilities and needs of the client. We can focus on creating designs. We can implement the designs and create the improvements for our clients. We can be involved in dozens of other important activities that allow us to serve our clients and make their lives more enjoyable and pleasant. The nice thing about the CAPS designation compared to other professional designation and certification programs is that it is open to anyone who wants to take the training. There is no minimum educational requirement such as a bachelor’s degree or one in a certain field. There is no level of industry service, such as a certain number of years in business, in a related field, or specifically in the aging in place arena. There are no licenses or approvals needed after the initial application process. The annual (actually every three-years) continuing education requirement is quite easy to meet. This means that anyone who has an interest in helping people stay in their homes as they are getting older, whether they have special needs or not, gets the opportunity to earn their CAPSdesignation and then proceed with helping the public. We get to choose how to use our abilities, who we want to serve, the types of projects we want to be involved in creating or delivering, and which other professionals we might want to partner with on a strategic basis to deliver additional services for our clients – ones that require a team of professionals to create. There may be certain types of improvements that we want to be known for in our marketplace, or we may take a more generalized approach. For instance, we might focus on doing the initial safety and use assessments, or on installing grab bars, ramps, lifts, curbless showers, or wider doorways. We might limit our services to just those products or activities that we feel quite comfortable in providing. Or, we may choose to work on renovations and modifications throughout the client’s home and not look for any particular types of improvements to do – just identifying people who need our help and then making the renovations happen for them. We are going to find more people looking for the type of work that we do, and our Certified Aging In Place Specialist designation is going to quite helpful in giving us additional insight into working with our clients and in giving them the confidence that we have that additional training to understand their needs or assemble a team to work with us to serve them more fully. We want to make sure that after we earn our designation that we put it to use serving the many people who are looking to have the type of work done that we can provide.